From the corner of a 20 by 20 booth to a presentation theater in a large, custom built exhibit, Thin Air can stop hundreds of prospects each hour and help you convert them into qualified leads. Thin Air provided 'experiential marketing' for clients at least a decade before that term was invented. 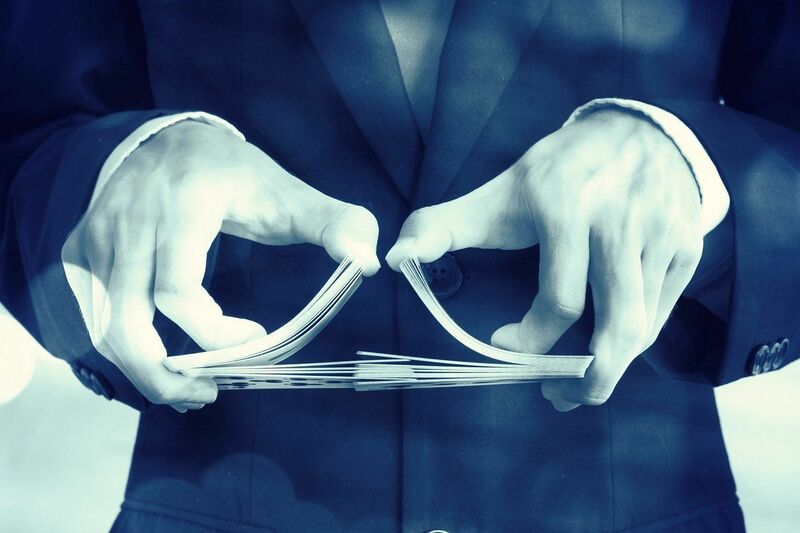 Performing up close, sleight of hand magic on the aisle of your booth, Mark Phillips grabs the full attention of trade show attendees and delivers a message of any complexity. Our presentation process qualifies and draws interested prospects into your booth, ready to speak with your sales staff. Thin Air typically generates double or triple the number of high quality leads over previous shows. 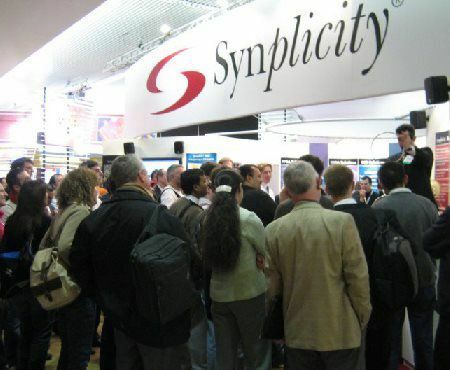 Your presentation theater ties up substantial exhibiting time, energy and boothspace. What have you done specifically to put interested show attendees in those theater seats? 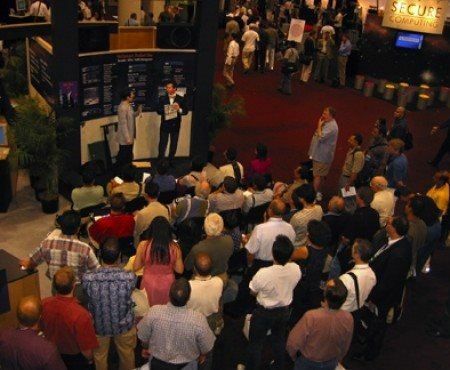 Our “pre-show” presentation provides a standing-room-only crowd for every presentation you give. Better still, your audience has an overview of your company and products and is alert, informed, and interested. Your presenter and sales staff work more efficiently, and lead quality measurably improves.